PT Wijaya Karya Bangunan Gedung Tbk (WIKA Gedung) is a preferred partner in construction, investment, concession and property that prioritizes quality & safety, in creating space for better human's life. WIKA Gedung, one of the six subsidiaries of PT Wijaya Karya (Persero) Tbk (WIKA), has grown steadily serving government, SOEs (regional/local governments), loan and private markets throughout Indonesia. Founded on October 24, 2008, WIKA Gedung started its business in building construction services and built its reputation as a leading construction company in Indonesia. As the initiative move to drive innovation in construction services, WIKA Gedung continued to expand its business to property sector in 2013. In line with the shareholders’ direction for realizing the benefits of business transformation, WIKA Gedung has expanded its property business to investment & concession which will support the company's sustainable growth and generate recurring income. WIKA Gedung has made progress for overall business transformation efforts with the aim of achieving a successful implementation of RJP (Long Term Corporate Plan) and RKAP (Work Plan and Budget) to adapt to the ever-changing business environment. 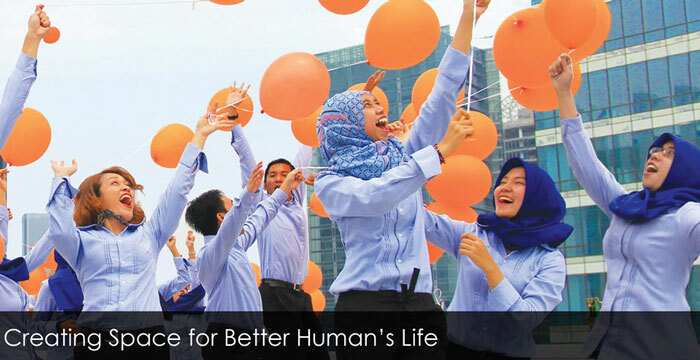 In 2012, WIKA Gedung focused on profitability by selectively targeting its customers, implementing the blue ocean strategy, cost efficiency, and optimizing the capacity of human resources as the company’s asset (Human Capital). WIKA Gedung continued to undertake Transformation 2 by expanding its business to property sector in 2012-2013 and started to execute Transformation 3 by conducting an IPO (Initial Public Offering) planned for the year of 2017, as part of the company’s long term strategy. To achieve company’s sustainable growth, WIKA Gedung prioritizes a high quality product and service, valued-added delivery, as well as, safety and environment focus for better human's life. Moreover, the company also builds key principles of stakeholder engagement as a key to successful business partnerships. The success of WIKA Gedung performances is based on a fair and transparent business management, which is recognized through company’s commitment to implement the highest standards of GCG (Good Corporate Governance) practice and design innovation to boost company’s growth and value creation. At the same time, WIKA Gedung also applies Knowledge Management concept to achieve company’s objectives by leveraging the best use of information assets.